The financial industry has been jubilant since the Senate passed a GOP rollback of banking rules last week. But even if the Dodd-Frank overhaul clears the House, U.
lenders will remain inside a cage built by the Federal Reserve. That’s because the bill, sponsored by Senate Banking Committee Chairman Mike Crapo, doesn’t touch the biggest constraint imposed on firms after the 2008 financial crisis: the Fed stress tests known as the Comprehensive Capital Analysis and Review. Read More: 1,000 Cuts to Dodd-Frank: Senate Bill Part of a Deregulation Wave While the legislation would free two dozen banks with less than $250 billion of assets from some oversight, the CCAR exams mean regulators will still have control over firms’ capital buffers and whether they can return profits to shareholders. Another burden the Crapo bill would leave in place is the Fed’s insistence that banks keep a stockpile of ready-to-sell assets on hand to meet liquidity needs in an emergency. “Anyone presuming that this bill lets banks run free is going to be disappointed,” said Ian Katz, an analyst with Capital Alpha Partners in Washington. Empowering Fed Rather than taking power away from the Fed, the Republican-driven Senate legislation gives it more leeway to tailor oversight to banks of different sizes. Such an outcome would run counter to previous efforts by GOP lawmakers to curtail the Fed’s authority. Read More: Senate Backs Bill Relaxing Post-Crisis Rules For Smaller Banks The notion that regulators may give up supervisory powers is “a political narrative,” said Douglas Landy, a banking lawyer at Milbank, Tweed, Hadley & McCloy in New York. “I don’t see any sign of that whatsoever. 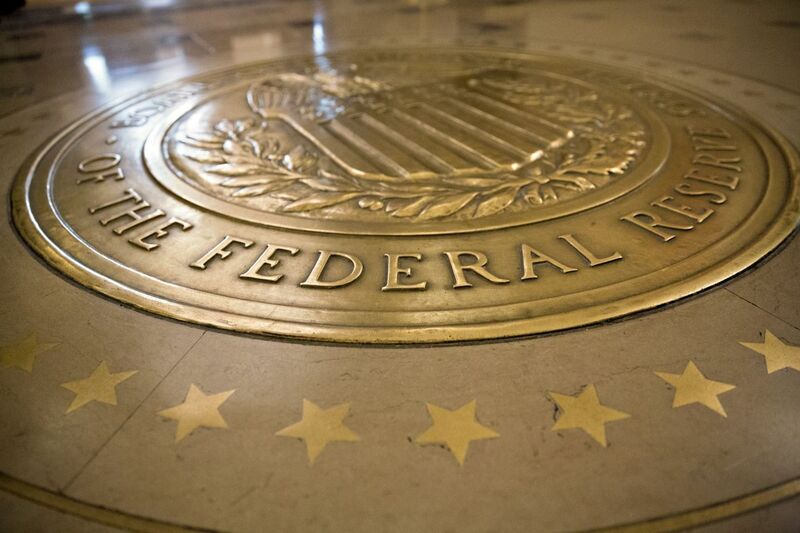 ” Though a Fed spokesman declined to comment, officials such as Chairman Jerome Powell and Vice Chairman for Supervision Randal Quarles regularly speak in support of stress testing, even as they move to dial back other post-crisis rules. Powell told senators earlier this month that the bill “gives us a lot of flexibility. ” He added that said his agency won’t be shy about keeping scrutiny on regional banks. “Supervisory stress-testing is probably the most successful regulatory innovation of the post-crisis era,” Powell said at a Banking Committee hearing. “We’re strong believers in this tool, including for institutions of $100 billion to $250 billion. ” Eliminating Headaches The Crapo bill does lift some of the Dodd-Frank compliance headaches for banks between $50 billion and $250 billion in assets -- such as SunTrust Banks Inc.
And bankers have been hearing good news from the Fed on CCAR: It’s working to soften the impact. The Fed set up its annual exams after the crisis, apart from Congress’ effort to pass Dodd-Frank in 2010, though the law also included similar, parallel stress tests. Seen as the toughest capital demand, CCAR requires that each lender demonstrate it can maintain a minimum cushion even as losses pile up. A failing grade means banks won’t win approval to pay dividends to investors or buy back stock. As business gets better for the banking industry, the tests are meant to get even harder to make sure the lenders don’t get in trouble again. Case in point: Even as President Donald Trump’s deregulatory agenda sweeps through Washington, the Fed said last month that its 2018 assessments will subject banks to a more severe hypothetical economic downturn than last year’s version. A silver lining for banks is that since the closing days of the Obama administration, the Fed has been dialing back a challenging part of the exams known as the qualitative test. Lenders with less than $250 billion in assets are already exempt from that assessment, which is difficult to plan for because it makes a subjective determination of whether firms are equipped to respond to a meltdown. Under Powell, the Fed has also been working to make the stress tests less of a black box for bankers. Democrats Fighting The bill that the Senate approved last week -- designed to help smaller banks -- triggered heated debate between 16 moderate Democrats who voted for it and progressives who claimed it would end up helping Wall Street. A focus of the Democratic infighting was a section meant to ease capital demands for custody banks such as State Street Corp.
and Bank of New York Mellon Corp. The bill made it clear that only firms “predominantly engaged” in the safeguarding of assets should get relief, rather than firms that issue a lot of loans. But Senator Elizabeth Warren and other Wall Street critics repeatedly argued that Citigroup Inc.
and JPMorgan Chase & Co.
might benefit because they do have custody businesses. Just like with other aspects of the bill, the section arguably empowers the Fed, because it would decide how to translate the law into regulation. Crapo’s legislation still needs to win approval from the House, where Financial Services Committee Chairman Jeb Hensarling has said he wants to make changes. If the relentless Dodd-Frank opponent demands major revisions, it could jeopardize support from Senate Democrats whose votes were crucial to the bill getting this far. ‘Modest Reforms’ The fact that both Hensarling and Warren have issues with the legislation speaks to its compromise nature. And if Trump signs it into law, a key takeaway might be that despite years of industry lobbying and Republican attacks, Dodd-Frank is largely intact. “The amount of energy it’s taken to just get these modest reforms mean that the overall paradigm of Dodd-Frank is here to stay,” said Brandon Barford, a partner at Beacon Policy Advisors who guides clients on financial regulation issues.